The goal of the barn survey is to document as many historic barns as possible. 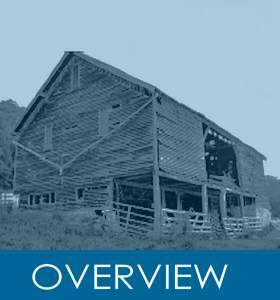 Only by documenting a very large number of barns can we be sure that we have saved an accurate record of history. One barn tells the story of a farm, hundreds of barns tell the story of a community. Therefore, my surveys are conducted with the goal of seeing very many barns reasonably well as opposed to seeing a few barns in great detail. However, I try to gather as much information as possible when I visit a barn. Each survey requires about 20 to 30 minutes at the site – more if it starts an interesting conversation. Very few barns will be visited more than once. 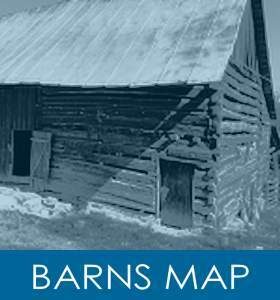 To create a list of barns to be surveyed, I simply ask interested county residents to provide names of barn owners they know. I make the initial contact by phone or email to seek permission to survey. 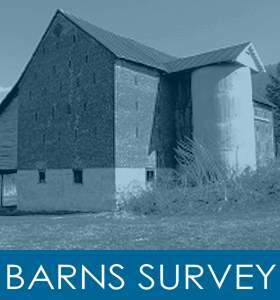 Barn owners all seem to want their barn to be included in the survey and virtually without exception, grant permission. Recently, I have added a survey partner Sharon Weatherholtz, to my efforts. 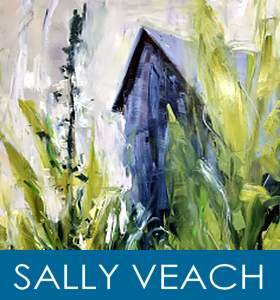 Sharon is a life-long Shenandoah County resident with extensive local contacts. She camera and tape measure. Thanks to her groundwork, we have been able to survey as many as seven barns in one day.calls her friends and neighbors to arrange surveys. She also drives around looking for barns and knocks on doors to get permission. By prearranging permission to survey, we can be very efficient with our time on the days we go out with camera and tape measure.